Established in 1972, we are a family run and owned precision engineering company, based in Hayes, Middlesex. 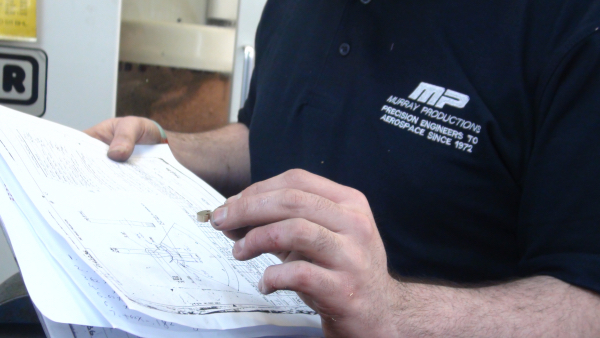 Working for many of the UK’s premier Aerospace companies, Murray Productions Ltd specialise in the manufacture of high quality, precision engineered components and assemblies to exacting aerospace standards. In choosing Murray Productions Limited, our customers enjoy the high quality service and the care and attention provided by our experienced team. Murray engineered components will be found on many commercial airliners, and fixed and rotary wing military aircraft, as well as demanding applications used around the world. Our hard earned reputation to continually provide high quality machined components is established on a strong foundation of top quality, highly experienced technical staff and our ability to continually provide high quality manufactured components. Using the latest production techniques we are dedicated to providing a cost effective and efficient aerospace manufacturing service. This has made us the first choice for many companies requiring finished parts ready for assembly without the need for inspection. Quality and Assurance procedures are stringent, and our customers appreciate the scope of our BS EN ISO 9001 and AS 9100 certified manufacturing capabilities, providing them with total quality assurance. We have a dedicated full time inspection department with equipment kept exclusively for final inspections. Our inspection equipment ranges from Coordinate Measuring Machines, Surface Testers, Shadow Graphs through to fully calibrated screw plug and ring gauges that are fully traceable to national standards. Our company’s size is critical to its success. We are small enough to respond to individual requirements quickly, but large enough to provide a high level of technical support and quality control. Our aim is to provide our customers with 100% on-time deliveries and 100% quality assurance. Murray’s are able to provide a scheduled despatch of kits or single components via kan-ban, direct to stock or direct to the assembly line. We aim to minimise supply chain logistics and handling costs in this manner. We would welcome the opportunity to quote on any manufacturing requirements you may have either now or in the future. Should you have any further queries or questions you wish to discuss, we would be only too happy to hear from you. If you wish to see any of our samples of work we would be happy to arrange this at your convenience. We look forward to hearing from you in the not too distant future.